Members of the buckwheat cult love its strong, earthy flavor. 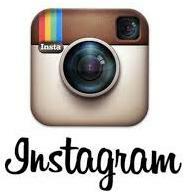 A grain that grows on the poorest of soils. 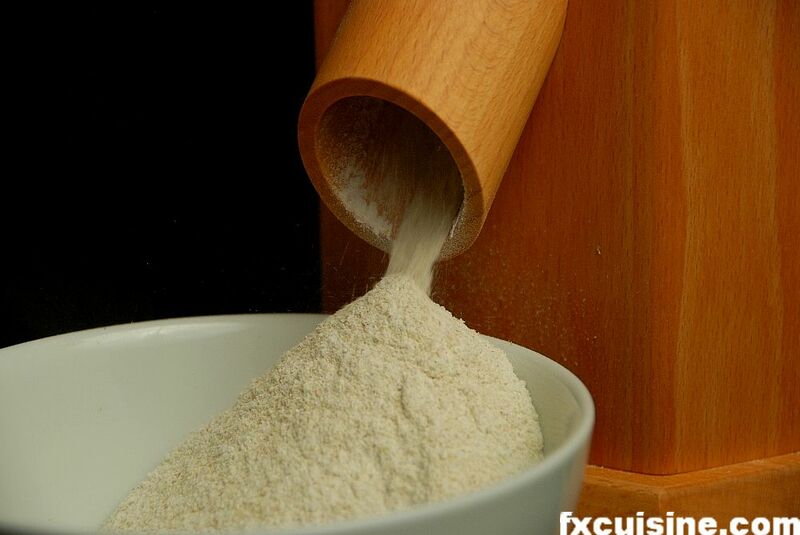 Yesterday I milled my own buckwheat flour using my brand-new Austrian flour mill. It took it less than 4 minutes to turn raw buckwheat grains (photo) into fresh flour (photo). 4 minutes before, I thought home-milling was for survivalists and food fakirs, but when I saw the beautiful fresh flour come out of the mill, I was hooked. The one to serve the Kool Aid on home milling was Paul Bertolli, former executive chef of Chez Panisse. 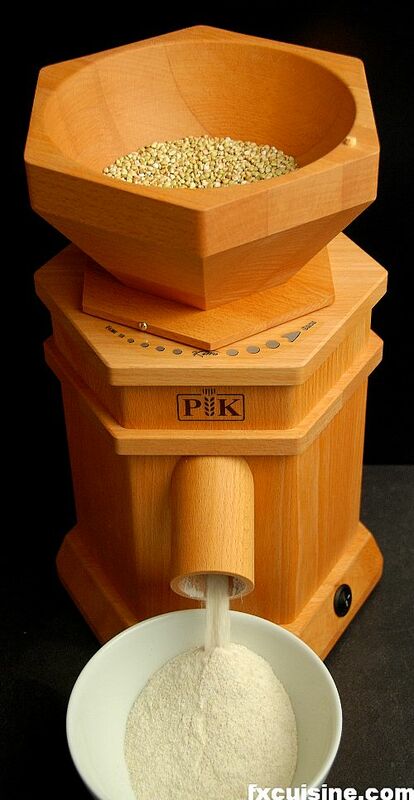 Home milling is for gourmets. You can even buy grain mills on Amazon.com nowadays. 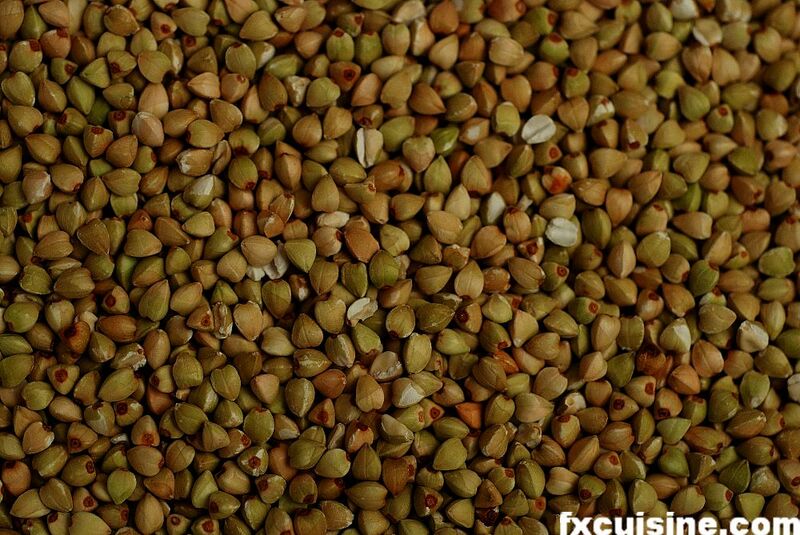 Buckwheat makes a weak flour. 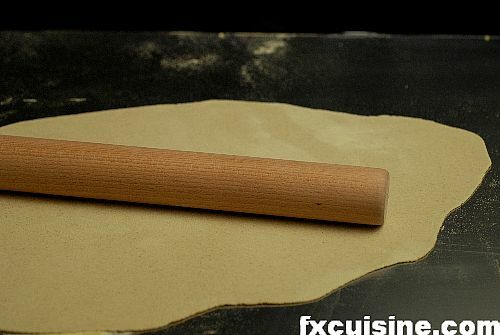 There is just no gluten, so if you don't add any extra flour, instead of turning into an elastic paste, your dough will break and tear. Making noodles out of pure buckwheat flour would be like mixing sand with water and expecting to make rubber bands. 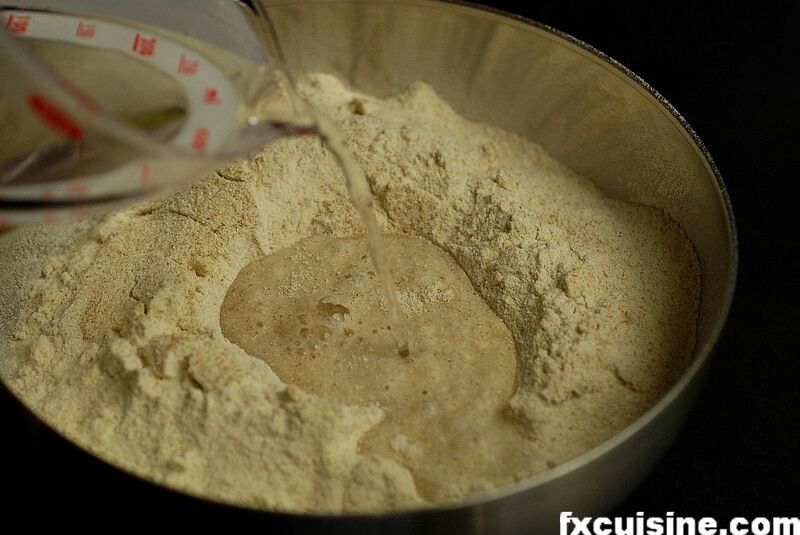 As per the Italian recipe, I added 150 gr durum wheat semolina to the 450 gr buckwheat flour. 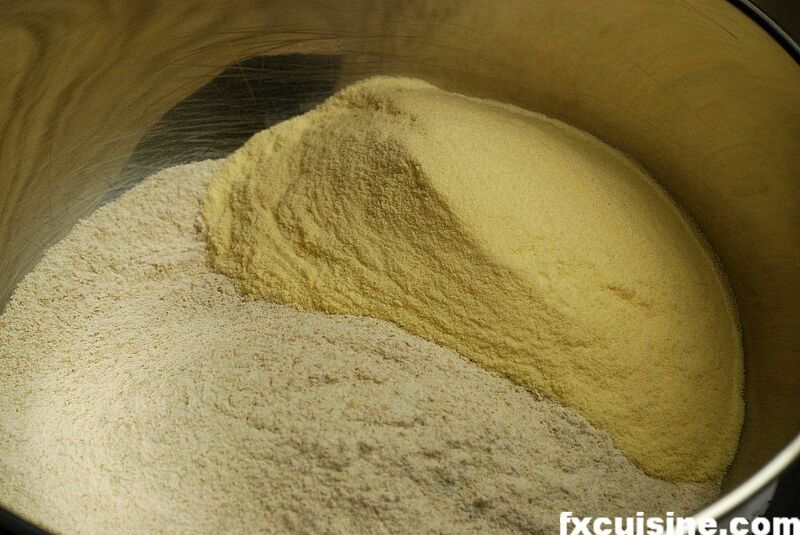 You cannot make 'white' flour at home so the semolina was bought. 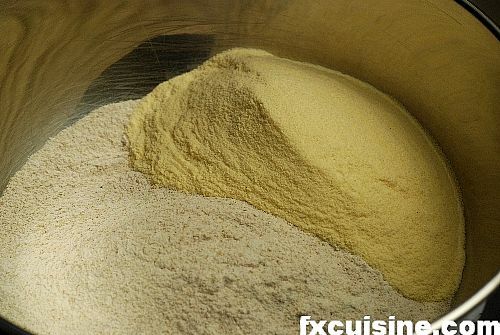 I sifted both flours together to mix them thoroughly and to remove the tiny bits of buckwheat bran that would look ugly on the noodles. Mix in lukewarm water and knead until you obtain a wet but non-sticky dough. Let it rest for at least 0 minutes so the water will hydrate every last grain. 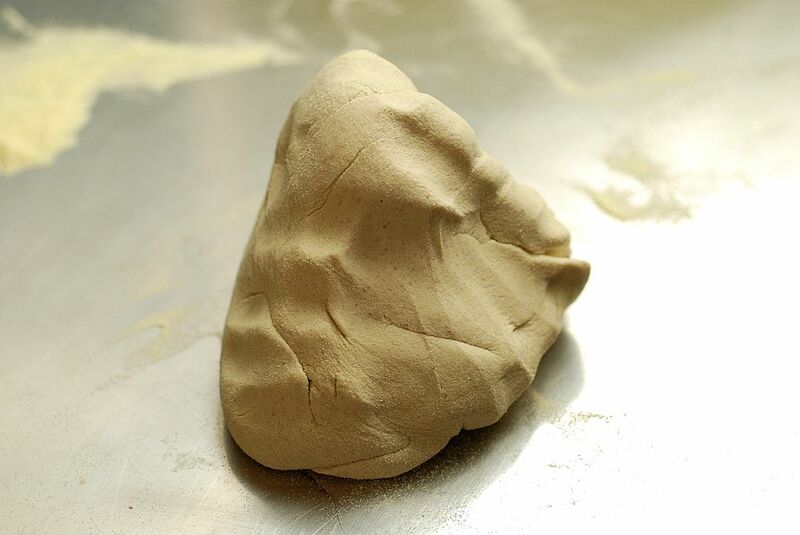 Bring the dough together in a ball. It looks like wet sand but the most exquisite smell of freshly milled buckwheat. The sobatician would frown if he saw the crevices in my dough. 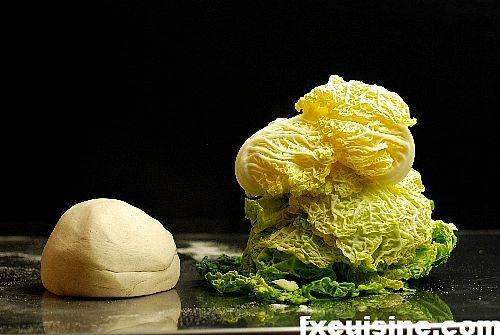 Japanese soba chefs have a way of making dough balls as smooth as a watermelon. Carefully flatten the dough with a long rolling pin, making sure not to break the dough with a sudden movement. 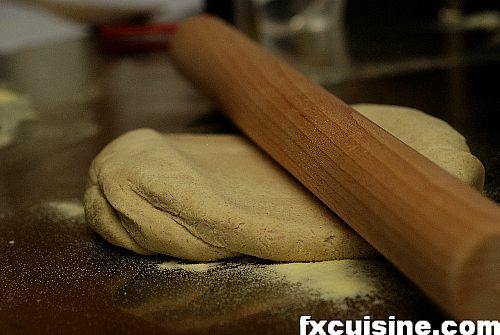 This dough is definitely not elastic and if it breaks, you'll be left with half noodles. A marble or wood bench would be better but I had to make do with stainless steel. It sticks a little even with the semolina flour I sprinkled generously. Continue to flatten the dough until you reach a thickness of 1.5 to 3 mm, depending on how brave you feel. Thinner noodles are more chic but a hell to work with. My traditional Italian recipes called for 3 mm thick pizzocheri, I find this a bit thick. These are definitely a humble relation of the soba noodles. Indeed, soba chefs use an elaborate two-pins technique to spread the dough in a rectangular shape.